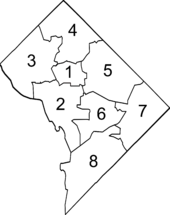 The District of Columbia currently has one program that is open to children. It is a TEFRA program that waives parental income. See this page on the DC program. DC also has two adult-only waivers, including MR DD, and Elderly and Persons with Disabilities. Target Population: Children who would otherwise require care in an institution with any type of disability, including medical, developmental, intellectual, or psychiatric conditions. Income Waiver: Yes, the program is based on the child's income only. Description: Provides Medicaid coverage only. Attn: TEFRA/Katie Beckett Coverage Group, 441 4th Street, NW Suite 900S, Washington, DC 20001, HealthCheck@dc.gov. © 2019 Complex Child Magazine. All Rights Reserved. This website is a subsidiary of Complex Child Magazine. The information here may be reproduced for personal use only. This information has been compiled from a combination of government sources and information provided by Complex Child readers. We cannot guarantee the accuracy of any information contained herein.